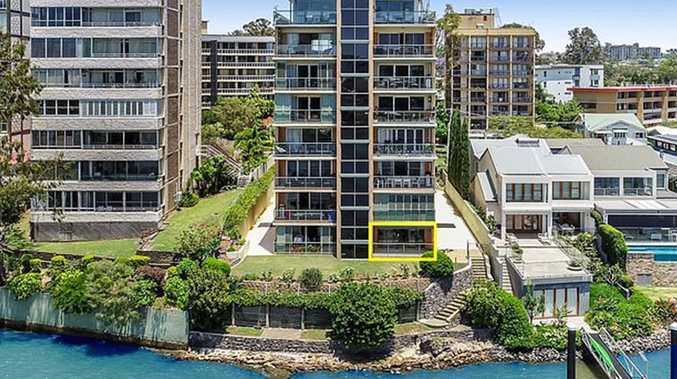 It's a case of photoshop 101 but luckily for the real estate agent, it takes a while to spot the glaring error. 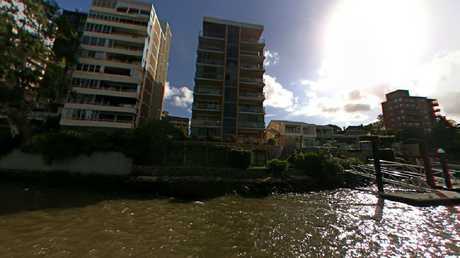 The ad, posted by Ray White, is of a luxurious riverside home in St Lucia, Queensland. 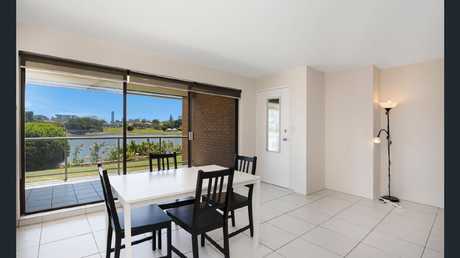 It boasts three bedrooms, one bathroom, a one-car garage, and a sprawling view of the Brisbane River. 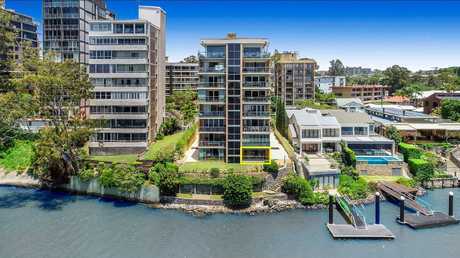 "Perfectly situated on the bend of the Brisbane river, this is a unique opportunity to purchase into a tightly held community," the property ad said. 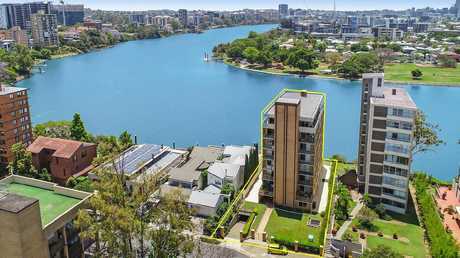 "Boasting uninterrupted views across to the CBD and beyond, this is ideally placed for buyers looking to downsize without compromise." 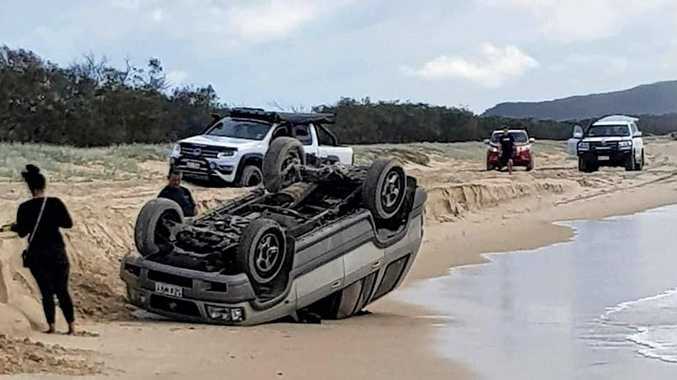 But there's one slight problem - if you're aware of what the Brisbane River actually looks like, you have probably spotted it by now. The photoshopper seems to have missed a small section between the jetty and one of its posts, where the real colour of the river is still visible. Users on Reddit were quick to call out the clearly tampered photo. "The brown snake [Brisbane River] hasn't been this colour for a long time," one user said. Another added: "Well, I'll be damned. If that isn't the fakest, worst photoshop job I've ever seen …"
Since it was uploaded to Reddit a day ago, the photoshopper has "coloured in" the error, even giving the river a murkier look, compared to its previous attempt of crystalline blue. Despite the error, the apartment boasts a contemporary interior design and open-plan living between the lounge room and kitchen, providing great entertainment value. "Imagine the views from here. Sit back and watch the City Cats cruise by or the night glow from the city. You simply have to view this in person," the ad reads. When news.com.au contacted a Ray White agent if they'd changed the photo, he wished "not to comment". 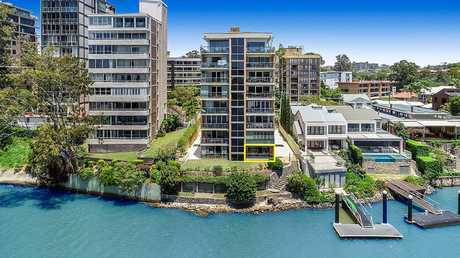 The Sanford Street property is due to go to auction on December 8 with the median price for a three-bedroom apartment without a water view set at $670,000.